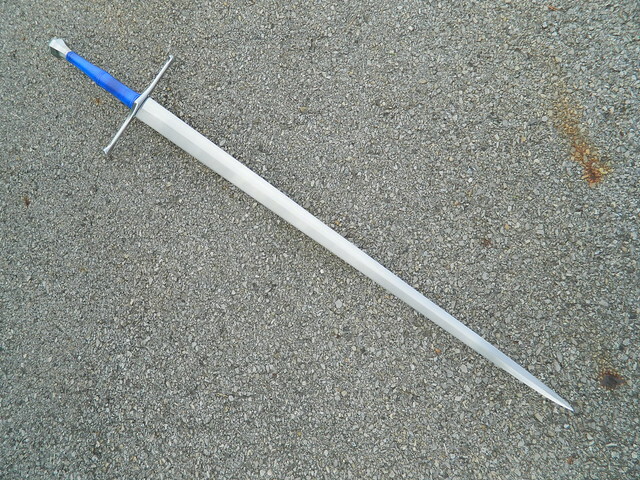 Here's a custom Type XVa longsword based on customer specifications. 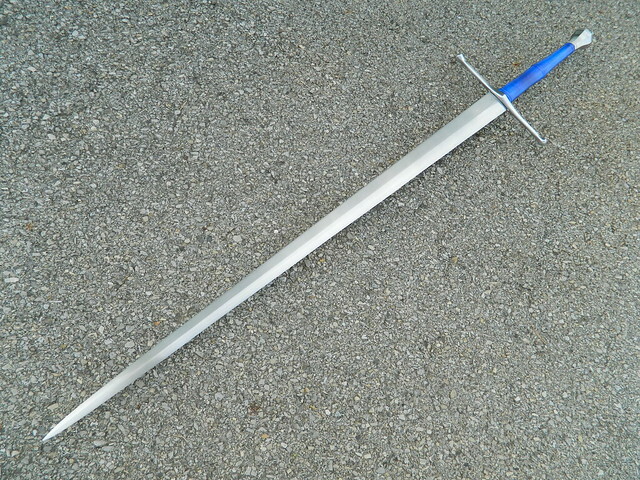 It's very similar to the Oakeshott XVa.3 featured in Oakeshott's Records of the Medieval Sword. Gracefully sinister is the best way for me to describe it. Great attention to detail here. 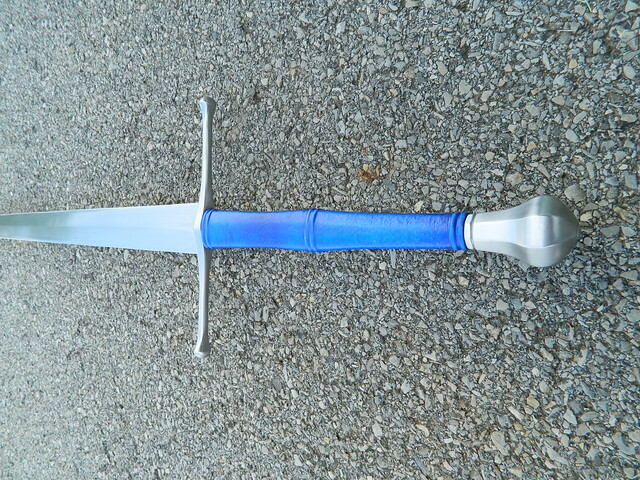 And the blue wrap is perfect for this sword. The Dordogne yielded some very beautiful and influential pieces. This creation is a real knock out. Thanks for posting it. Beautiful sword. I really like everything about this sword. John she's a beut !!!!! I really like hilt and handle they match the blade perfectly !!!! Cant wait to hear new silent kings. !!!!!!!!!! Hi John, the type XV family usually doesn't to do much for me, but this, this is impressive. I really like it! thanks for sharing. I don't generally go for this style (XV) of sword either, but MAN is this nice. A real testament to how well put together this sword is. Beautiful work. It looks so quick and deadly. Very nice. 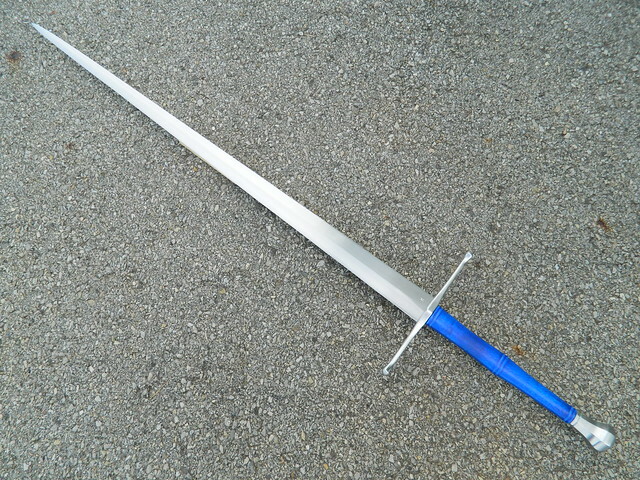 We always need more Castiillon based swords. We also need more blue grips. Now that is a good example of what John can do to suit the HEMA typical needs for longsword. 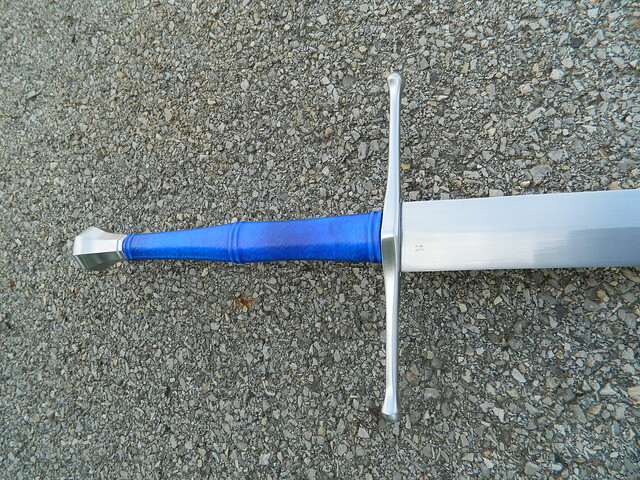 It's a very popular design among longsword practitioner circle and John definitely nailed it, showing his talent for making "historical swords".